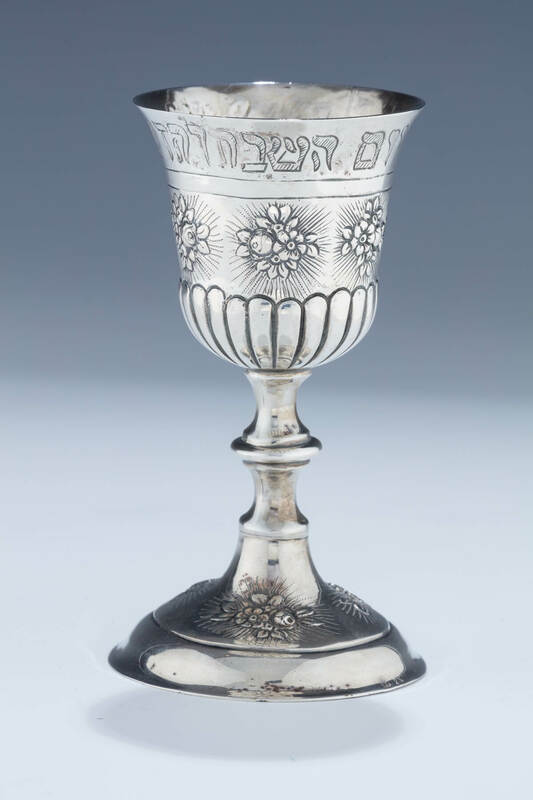 A SILVER KIDDUSH GOBLET. Germany, c. 1910. On round base decorated with flowers. Upper portion engraved with biblical commandment to remember the Sabbath. Marked with crown, moon and 800 mark. 4.7” tall.